Meet five talented young performers who are already blowing away audiences, some on a national stage. Here we showcase their amazing accomplishments. Since the age of 6, Royalty has danced with the Q-Kidz Dance Team. She has also auditioned for and gotten roles in movies such as the 2017 film And Then I Go and The Fits, in which she played the lead, Toni. Big break: Getting the leading role as Toni in the movie The Fits. Small break: Performing and competing with my dance team, the Q-Kidz. Pre-performance ritual: Before I perform I pray. Surreal moment: When I found out that I was going to Italy for a red carpet event. No. 1 fan: My No. 1 fans who have been there from the beginning are my family. Inspiration: All of the good comments that I get and how some little kids look up to me. I’ll know I’ve made it when: I get to do a movie or TV show at Hollywood Studios. Up next: Competitions and traveling with the Q-Kidz Dance Team. Kennedy is a student at SCPA. She joined Emerge Dance Academy in 2013, at the age of 3. Two years later she joined their national competition team. Most recently, Kennedy was featured in Robert Redford’s Old Man and the Gun as a photo double. Big break: Getting into SCPA. I can do music, drama, art, and dance every day. It is the best. Small break: Being on the dance team [at Emerge Dance Academy]? Oh…the movie, duh. Pre-performance ritual: Praying. Asking God to let me do good. Surreal moment in show business: When I got to have lunch with Casey Affleck [on set]. Two times. No. 1 fan: My family. My dance family. Inspiration: Demi Lovato. She is in movies and is a really good singer. She is a huge star and she is young like me. I’ll know I’ve made it when: When I can keep being in movies. Can I move to New York? Up next: Dance showcase, “Heart of The Art,” with Emerge Dance Academy. Anthony has performed in Children’s Theatre of Cincinnati productions of Wizard of Oz, Elf JR., and Willy Wonka Jr. He was also a finalist on Alicia Key’s team in The Voice’s Snapchat competition. Big break: Playing the role of Colin [in The Secret Garden] at Cincinnati Playhouse in the Park and in Baltimore. It was my first professional role and was the toughest role so far. It included seven shows a week for a total of 64 shows. The character was in a wheelchair or bed for most of the show. Best way to celebrate opening night: To celebrate, I love our cast parties! There are definitely a lot of laughs as we recall some funny moments or even some “oops” moments. Role model: My cousin Michelle Dunham. I remember going to watch her perform in her high school musicals and hoping that someday I would be on stage like her. I’ll know I’ve made it when: I would love to have a lead role on Broadway someday! Up next: University of Cincinnati College-Conservatory of Music’s Youth Ballet production of Babes in Toyland. 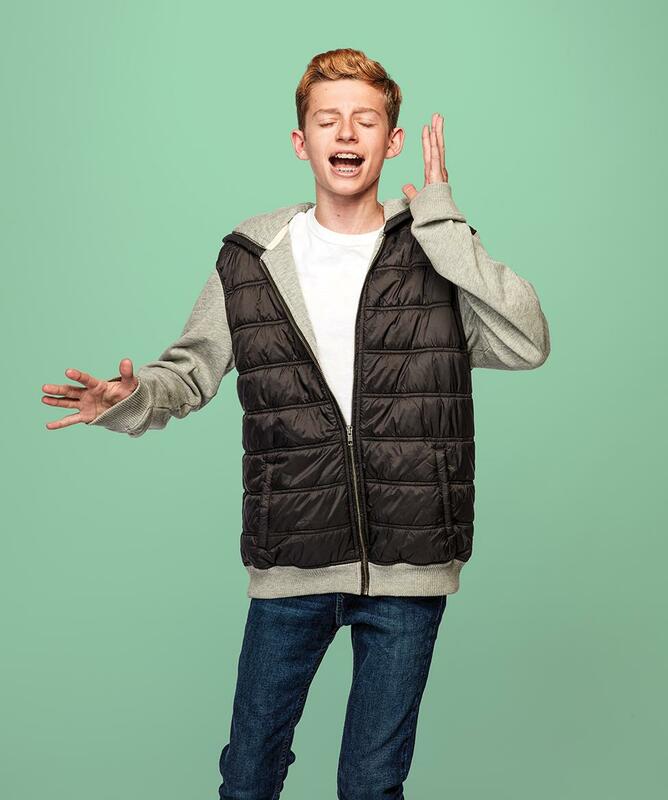 Soren has been a dancer with the Cincinnati Ballet Academy since 2009. He has been featured as Fritz in three consecutive seasons of Cincinnati Ballet’s The Nutcracker. Surreal moment in show business: When I performed as Young King Arthur. I had always wanted to perform the role since I saw the premiere at the Cincinnati Ballet in 2013. It was amazing to be dancing on stage as a leading role. Inspiration: My fellow male dancers and dancer friends who inspire me to improve every day. 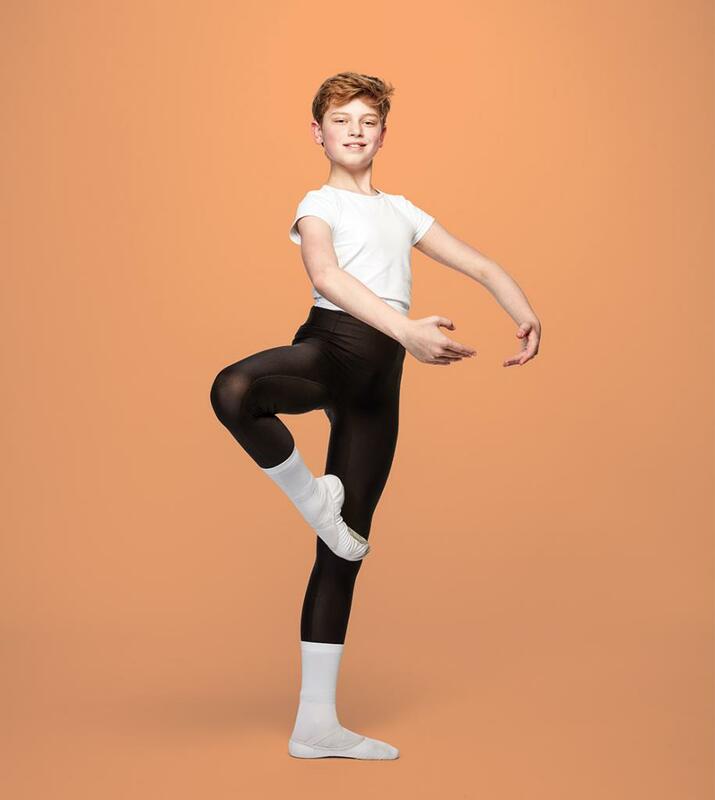 I’ll know I’ve made it when: My dream is to dance as a Principal Dancer with a major ballet company and get to perform lead roles in many ballets and venues around the world. Up next: The Nutcracker Prince in Cincinnati Ballet Academy’s production of The Nutcracker, and the male role in the Marzipan dance at the Cincinnati Ballet. 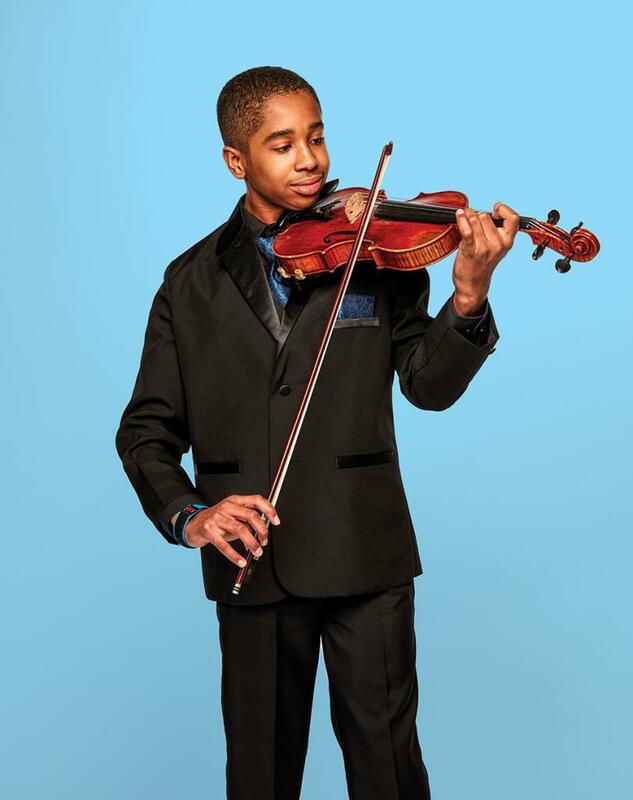 Maxwell has played the violin on stage at Cincinnati Music Hall with hip-hop artist Common (with the Cincinnati Symphony Orchestra) and in front of First Lady Michelle Obama at the White House (with Sphinx Performance Academy). Small break: I was 4 years old. I stood on stage holding my violin and bow and sang “The Bow Song,” which is for young people who had just started playing violin. My teacher stood on stage helping me the whole time. Surreal moment in show business: After the Perfect Fourth performance at the White House. First Lady Michelle Obama gave us a glowing speech right afterwards, and hugged me. No. 1 fan: My mom. She drives me to almost every performance, sits through the time between the call time and the performance, and takes care of logistics for these performances. I’ll know I’ve made it when: I am performing regularly in a successful, traveling chamber music ensemble with people that I enjoy. I will also be performing as a soloist in sold-out venues. Up next: Solo concert at Peraza Music Workshop, his instructor’s studio. Previous articleWhere Are Cincinnati’s Snow Police?